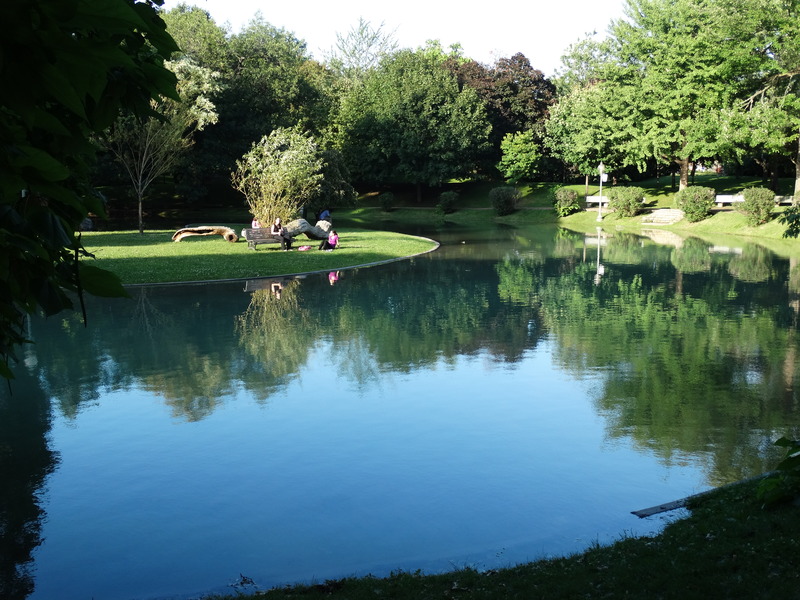 The park’s lagoon during an early summer evening. 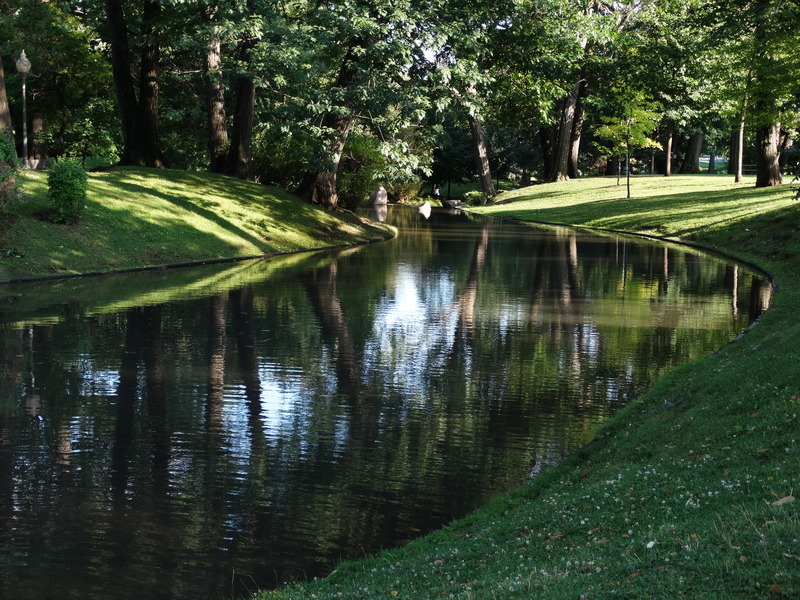 It had rained earlier in the day causing the water to become murky and reflect the blue sky. “Here’s the deal” (don’t you dislike that expression that has recently cropped into our vocabulary). 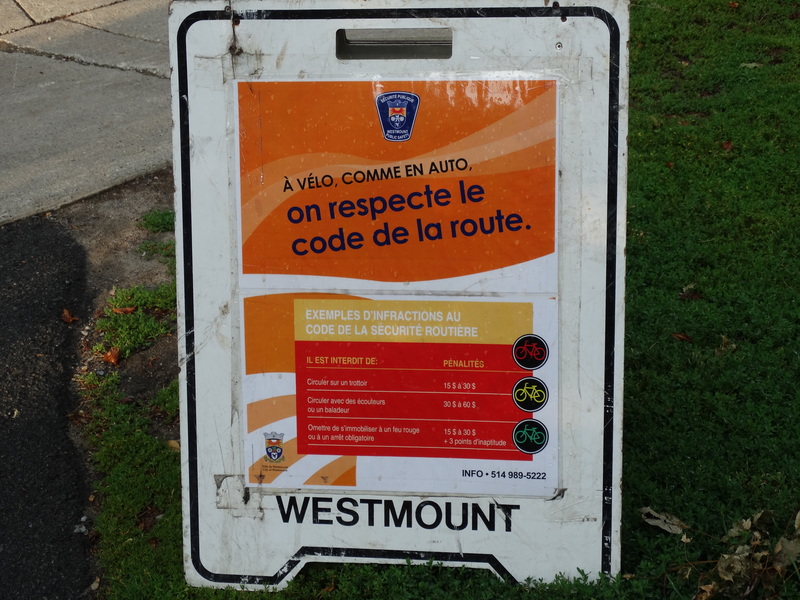 A sign (that seems to be largely ignored) warning bicyclists of the provincial penalties of ignoring the Highway Code. A “noble effort” by the City – but frankly, I cannot foresee a bicyclist stopping and reading this sign. 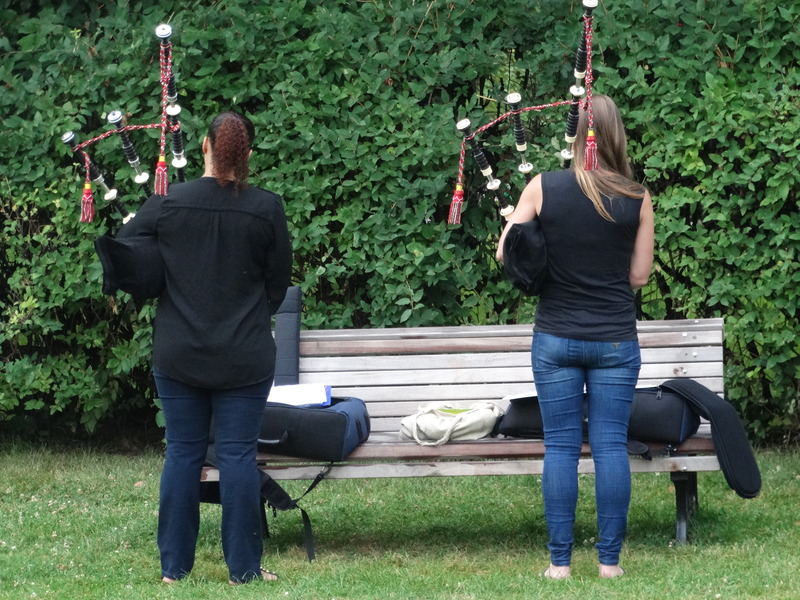 Two pipers practising their Great Highland Bagpipes. They were playing “The Black Bear”, during this photo, a tune I remember in regimental marches. (I am sure all of us have heard this tune). “The Black Bear is reputedly the fastest regimental march in the UK army. This old, very popular, tune is traditionally played as a marching off parade tune by every Scottish regiment returning to their barracks after a route march or a day’s manoeuvres. This is the one occasion when they are not expected to march in step. The tune is played fast and the soldiers march along even faster as they head for home. 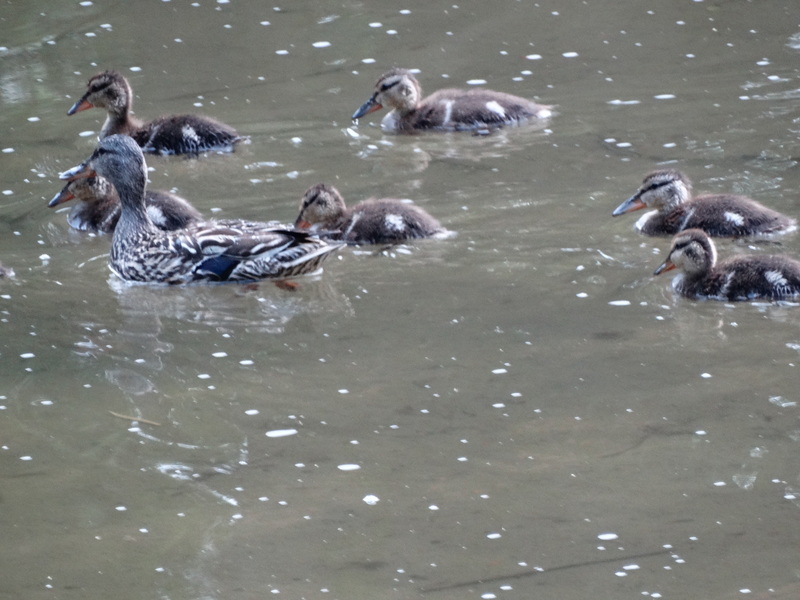 Another update on the duck family – all seven ducklings and the “mom”; I only managed to capture six in this shot. 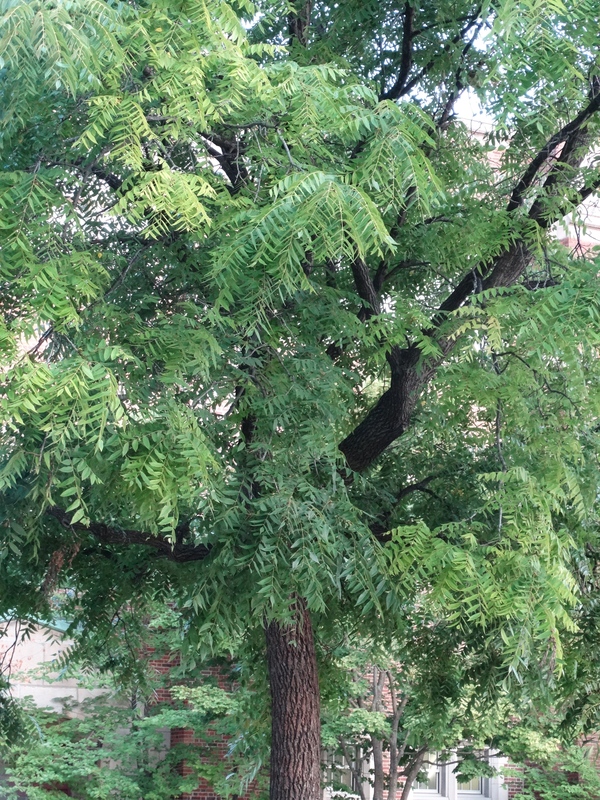 An English Walnut tree (Juglans regia) on Melville Avenue near Westmount Park School. “In the Chinese language, the edible, cultivated walnut is called 胡桃 (hú táo in Mandarin), which means literally “Hu peach”, suggesting the ancient Chinese associated the introduction of the tree into East Asia with the Hu barbarians of the regions north and northwest of China. 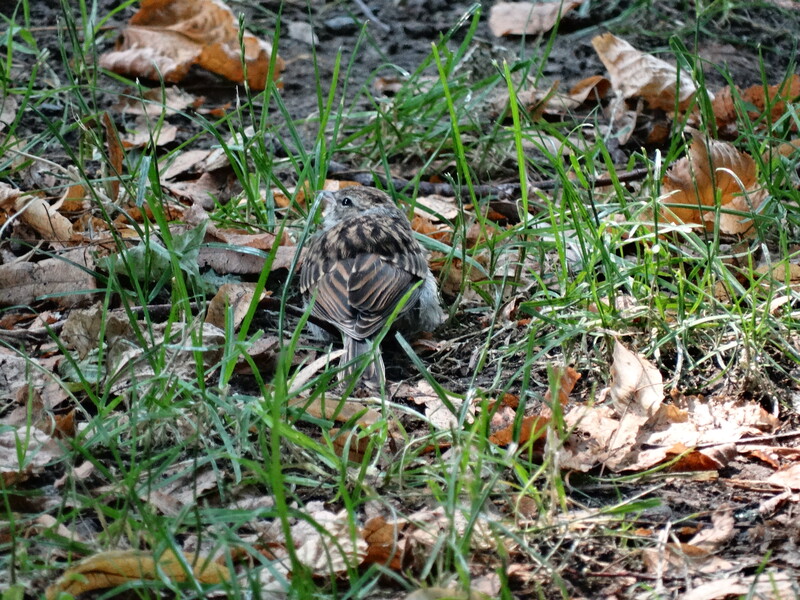 One of several juvenile House Sparrows, well camouflaged, under one of the park’s trees. 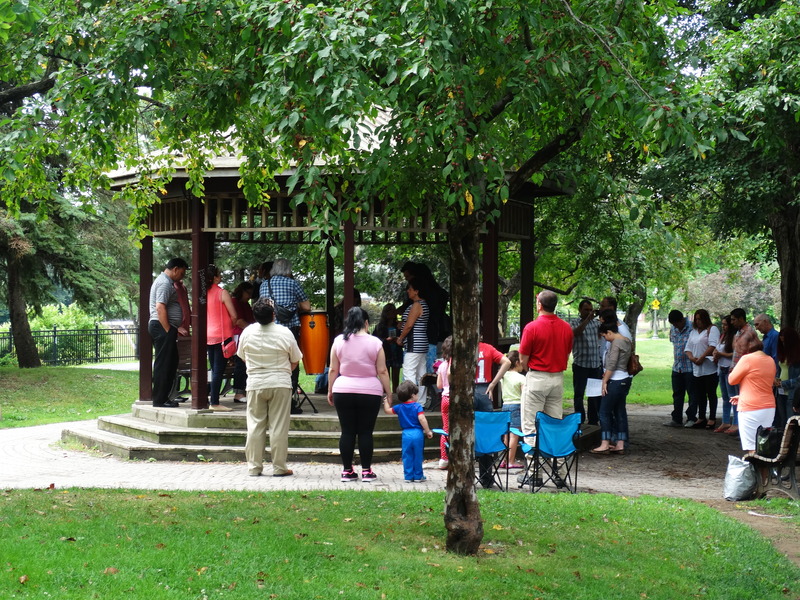 A prayer meeting, over the weekend, inside the park’s gazebo, by the Canadian Bible Society. The meeting was held entirely in Latin American Spanish. 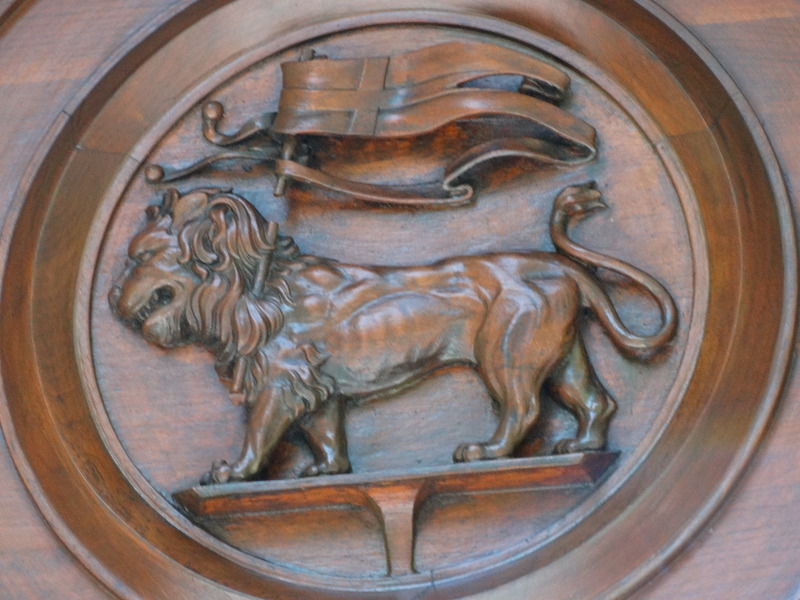 One of several wood carvings above the church’s front entrance. The base on an old street lamp; it isn’t the typical Washington Lamp currently used throughout the city. 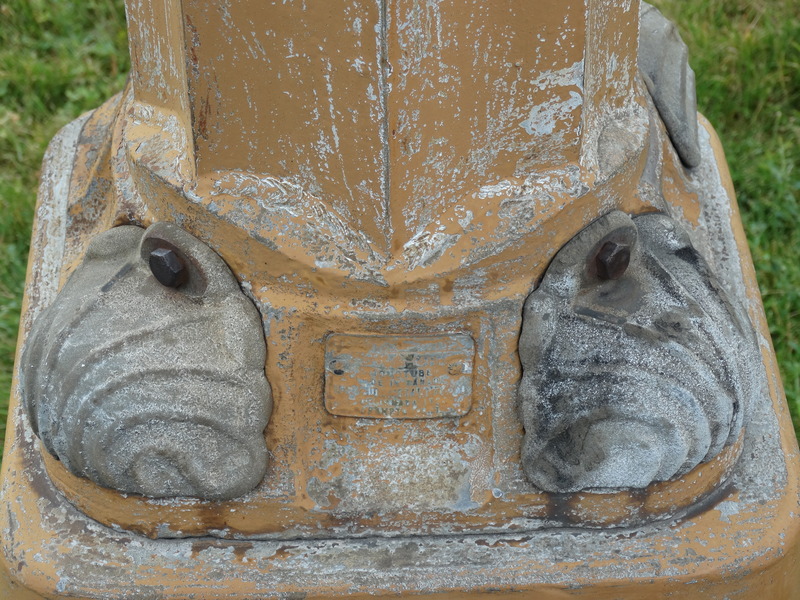 The bolts connecting the base to the post are covered with decorative moldings. I recently noticed a similar lamp base (not in very good condition) on Victoria Avenue, next to the RBC Canada Bank.